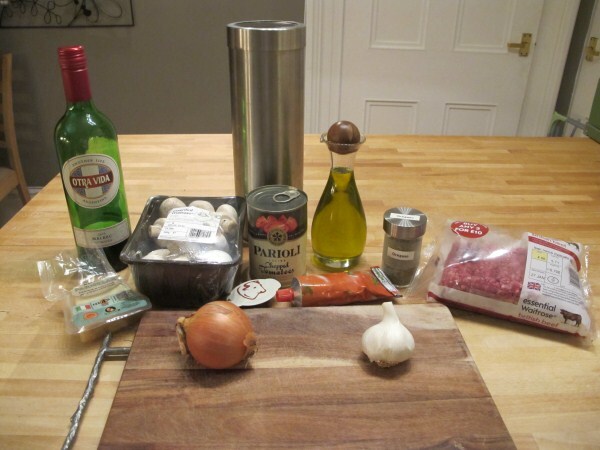 My Mum taught me how to make the classic Spaghetti Bolognese. It was the only thing I remember Dad would ever cook for dinner. I also remember it being a competition of whose Spag Bol was the best! When I moved out of home at 18, Mum gave me a few of her classic recipes and a bunch of print outs from her Good Housekeeping book. 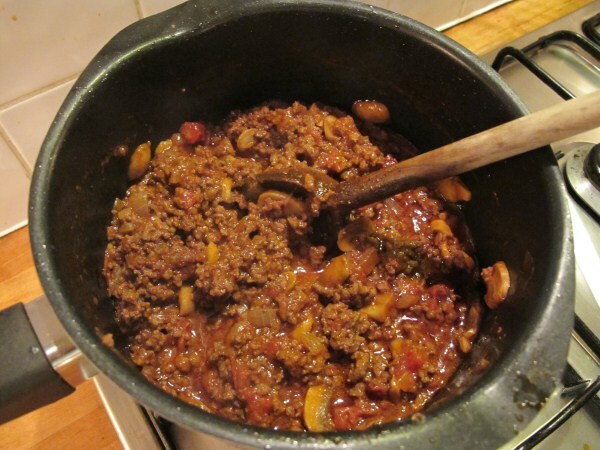 One of my favourites is still the Spag Bol so I have decided to share it with you here. I have changed it only slightly. I used to use a smaller quantity of beef stock as I found it quite unpredictable how runny the sauce would be using 1/2 pint but have since started using the new Knorr 'stock pot' instead as it's concentrated so the sauce is never too watery but still has a nice rich flavour. Heat a little oil in a pan and fry the onion and garlic for about 5 minutes over a low heat until softened. Add the mince and stir until starting to brown. Crumble over the oxo cube and stir. 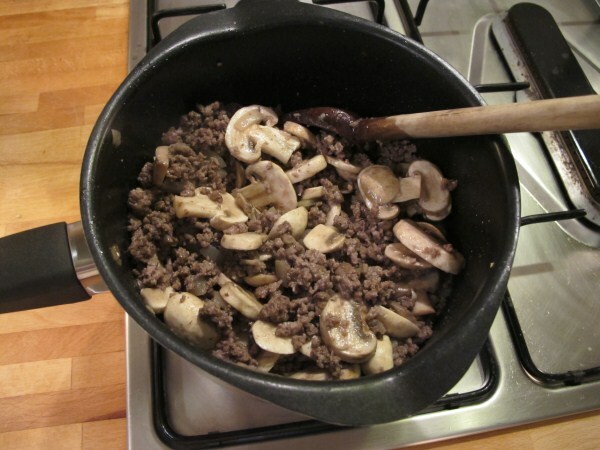 Add the mushrooms and fry for 2 minutes. Add the red wine, chopped tomatoes, puree, herbs, stock and salt and pepper. 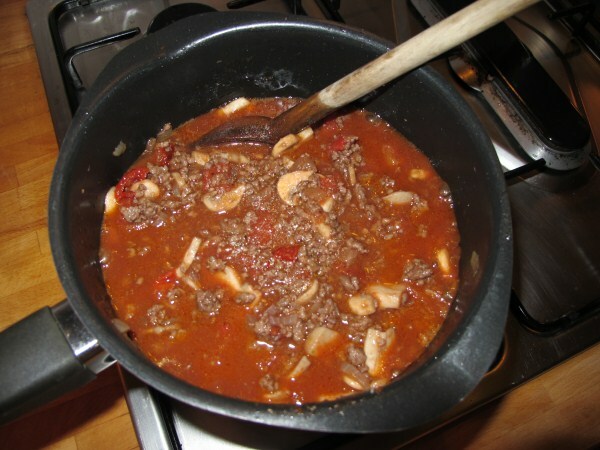 (This time I also added some chopped sun-dried tomatoes.) 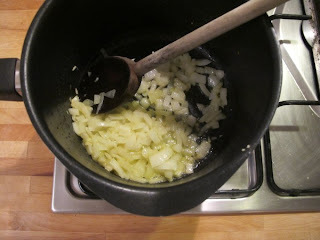 Bring to the boil then simmer gently for 45 minutes. About 15 minutes before the end of cooking time, boil the spaghetti in plenty of salted water until al dente and taste the Bolognese sauce to see if you want to add more seasoning. 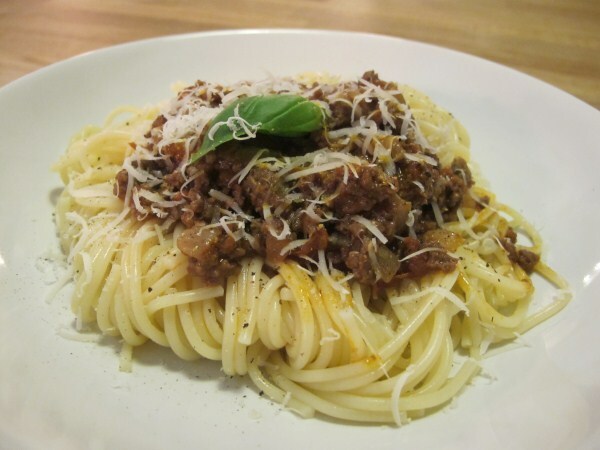 Serve the sauce over the pasta and grate over the parmesan to taste. Yum!